But there is progression and we must now ensure this momentum is not lost. This year, I’ve been leading a group of incredible women who are part of the Bloom network. And my greatest privilege has been to hear their stories. What they fear, what challenges they face and what things they think need to be changed so that they can progress in this industry. These voices are so important for making tangible those debates where progress is slow. And as a result of that lack of progress, every year we lose another cohort of female talent. So what are the positives we’ve seen in 2018? We have progressed from just calling out cases where clear sexism has happened to interrogating the deeper working practices that cause us to lose women and trying to understand how entrenched attitudes can prevent them from reaching leadership positions. The evolution in this conversation means we’ve now taken that first simple step of recognising the daily challenges that slowly force women out over time. This has been driven by wider changes in our political and societal landscape, with wake-up calls such as #MeToo and enforced gender pay gap reporting prompting our own industry to become more honest about underlying challenges. The work done by TimeTo this year highlighted the issues that continue to exist behind the scenes. Meanwhile, Bloom’s annual conference in November revealed stories about the incredible impact that passive behaviours can have on career progression – the exclusions and biases that shut out women’s voices and mean they are not taken seriously. This is so important, because these behaviours can be easily brushed off as individual experiences. When collected together and reinforced by multiple voices, they become irrefutable. While this acceptance of the issues at hand is a big step forward, recent statistics show that we clearly haven’t reached a solution yet. 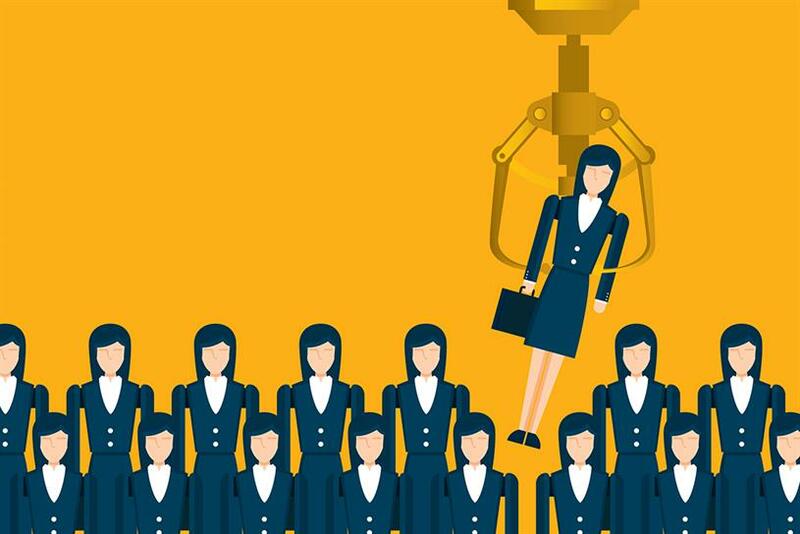 In the past decade, the percentage of women in senior positions has increased, but this has slowed in recent years and the IPA’s target of 40% by 2020 is looking unlikely to be achieved. Wacl’s 2018 research backs this up, stating that within advertising and marketing there is a 13% leadership gap. Meanwhile, the proportion of female creative directors is well below one in five. This lack of realistic representation creates a self-perpetuating cycle where women are not seen as leaders and are not present at the top to shape the industry for the next generation. And for the thirty-somethings looking to the future, this lack of realistic role models starts to sow tiny, dangerous seeds of doubt. Where have all the women gone? Can I really do this? So how do we push forward in 2019? I believe we can only create a step change by dragging ourselves into the real world. For decades, we have seen ourselves as a "special industry" – one separate and above others, where we can only get to brilliant work by gruelling hours and sacrificing our people. And, trust me, I’ve been part of that, relishing in the glory of long hours to prove you are the most committed. But we need to stop. If we continue to exist in this bubble, maintaining attitudes that don’t align with where the competitor environment is going, we will lose our brilliant talent to other sectors. We need to be honest that we no longer have the luxury of being the only place where forward-thinking, data-savvy creative types can work. Unless we commit to thinking that excellence is possible while working more progressively, it won’t be only women we lose from the industry. There are two key challenges that need to be addressed to make this change. First, the industry needs to fully embrace flexible working. We need to get the same things done, but in a different way; changing the processes that we’ve stuck to for years and making use of new technology. And we must take the flexible working conversation outside of just the context of kids for anyone who might want or need it. Only in this way we can make the collective attitude shift that will stop seeing success as equalling long hours. This will enable women and men to have a more realistic work/life balance so that they can stay in the industry. And it will also ensure that the best younger talent who seek portfolio careers aren’t poached by other sectors. The second challenge is for us to change the small behaviours that devalue women and lead organisations to disregard their ambition and neglect to take them seriously. We need to celebrate female traits in the workplace and the benefits that they can bring to teams. To champion being emotional as a positive and not a negative. And to let women confidently assert their opinion without worrying that they’ll be considered "difficult" or "bossy". This will reframe what it means to be a leader and help people like me to believe that we can one day lead a company without having suppressed our true characters to get there. These two changes will help tackle the drop-off observed as women move up the ranks – something that I am fearful I will start to see soon among my peers. A groundswell of ventures, networks and individuals are helping to push this agenda forward and inspiring companies to take action. The New Work Network and The Fawnbrake Collective champion flexible working as the future. Creative Equals has launched a "Creative Comeback" returnship training programme for women to give them confidence to get back into work quickly after a career break. Networks such as Bloom, Futures, SheSays and Dawn provide inspiration, mentorship and peer support. And Wacl continues to help women to progress via its bursary scheme. As the president of Bloom this year, it has been a privilege for me to experience these groups and others striving towards a common goal from different angles. These women and men work in a hugely pressured and time-poor industry and yet devote their spare time towards creating real change. While there is still a lot of work to be done, I am feeling positive about the future of women in advertising. If we keep the current momentum going, we’ll create an industry that works better for women but will also be for the benefit of everyone, allowing us to recruit and retain the best talent. And, to get there, we need to make sure men are involved at the heart of this conversation. We have to do it together.